Artistry XVI was founded in 2016. Alex, the artist behind axvi, pulls inspiration from the things around her - nature, the human body and all things weird. Idelfonso Alvarado is a 78 yr old Puerto Rican retired veteran who has been making artwork with pen and ink sketches & drawings as a hobby for over 40yrs. He is looking forward to participating in the art festival. Tj Andrews is an artist from Atlantic City N.J. Andrews started out as a tattoo artist in Atlantic City. He later moved to paintings with different contemporary designs and portraits. Like most artists, I have been painting and drawing most of my life. The subject matter of landscapes, however, is a much more recent interest. Over the past few years, I began to really appreciate the look of nature and manmade structures in a balance (which can be tipped one way or the other at times) and just want to show people how I see it. Imma Barrera is a fine art nature photographer based in Metuchen NJ. She is a graduate of NY Institute of Photography and the recipient of several awards. Her work has been exhibited at numerous galleries in NJ, PA and CA. She is also a biologist and loves capturing the beauty of nature including the night skies. Linda Farrell was an Art Educator in Woodbridge Township teaching Gifted Students for 37 years. She has exhibited and participated in Visual Arts Exhibits at numerous venues. She was one of the contributing artists At Art & Soul on Roselle Park. ​I am a local artist in Monmouth County and an art teacher in Mercer County. When I am not teaching I am at home in my studio creating. Over the years I have designed clothing, multi-media wall hangings, pastel and acrylic pieces, and jewelry. I love painting and working with paper. I’m always thinking up new ways to express my visions. My designs are out of the ordinary and each of my creations are one of a kind. Most weekends you can find me at art shows throughout New Jersey, New York, and Pennsylvania. ​I attended Glassboro State College (now Rowan) between 1976 to 1981, majoring in art with a concentration in jewelry, under the tutelage of Dr. John Ottiano. I currently work full-time in another profession, but art and jewelry making have always been my passion. I currently work in my own workshop at home, as well as taking non-credit courses at Rowan College at Burlington County to have access to their studio. My work is inspired by fractal geometry & the chaotic nature of the universe. Working primarily with .925 and gemstones, my works incorporate a piercing of a cracked or fractured design. I also create pieces utilizing sterling silver and 90/10 bronze wire wrapping and weaving. Ashley is an artist and student at Kean University. She would like to become an art teacher. Crazy cat lady and miniature obsessed artist living in Brooklyn with her 4 legged muse. A portion of all cat related art goes directly to non profit animal rescues to help put an end to homeless animals. Lina is a Roselle Park Resident specializing in painting. I offer custom wood works such as signs, tables, side tables, coasters, and much more! Redux, Reuse, recycle! Stencil artist from Roselle Park. Been doing stencils for about 10 years and into art since childhood. 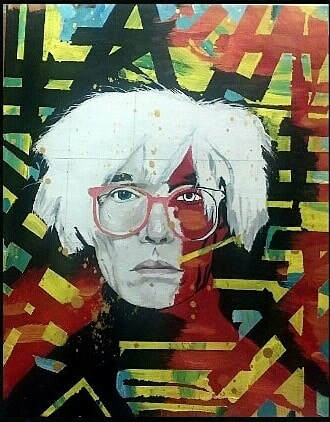 Influences include Logan Hicks, Shephard Fairey, Banksy, pop culture, skateboarding, music, vintage cars and motorcycles. Doveinity Rocks creations are handmade with the intention to impart harmony, energy, and protection to the wearer or user's spirit by fostering an intimate relationship with Nature. When you surround yourself in natural jewels and gemstones, you can feel the healing journey awaken within. Traditional folkloric medicine has long respected the energy of stones to focus, amplify, store and transform energy. wearable art pieces for children to adults using vintage and repurposed Leathers and Suede. This is the collaboration of two artists turned couple Selena and Chuck. Both bring something unique to the table such as photography, hand lettering, and a variety of artwork. Gretchel L. Hathaway, Ph.D. currently serves as the Dean of Diversity and Inclusion and Chief Diversity Officer as well as the Americans with Disabilities Act (ADA) Compliance Officer at Union College (NY). 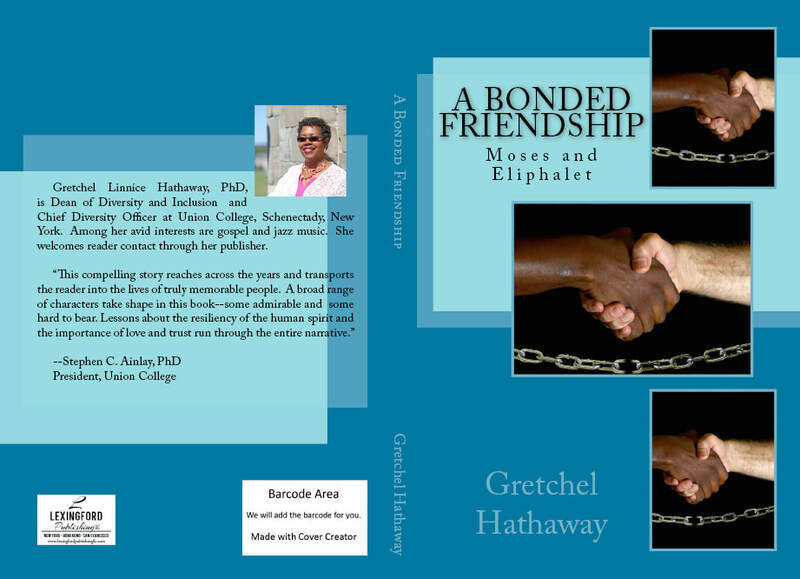 Dr. Hathaway enjoys writing poetry and recently authored a historical fiction titled “A Bonded Friendship: Moses and Eliphalet.” This book, set in the 1850’s, is based on the true story of the relationship between a man who escaped slavery and a college president. Avreet Kaur was born in a small town in India. She was always influenced by the amazing colors around her. Her paintings epitomize and celebrate the beautiful bold colors. Mosaic constructions and wearable mosaic art. Janet has been an artist for over 50 years in commercial, fine art and digital imaging. After taking a long break from working in a variety of places, doing everything from art for clothes to running art departments to creating commercial fine art at one of the biggest and most well known American Companies, I needed a change. I went back to school for Dental Technology. The skills I learned reminded me of how much I loved making things and creating art. I loved the process and decided I was back where I should be. I started making art again and making jewelry as I learn. There is a fresh quality to everything I am doing, even when revisiting pieces I worked on years ago. This is the dream I have always had, where I can survive and spend my days making things and being creative. The most important aspect of this dream is that it shapes my world, shown in my creations. It helps carve out my path, which I may deviate from, but ultimately come back to every time I may lose my way. I have matured and with that, my work is maturing as well. Some 10 year olds have attachments to their stuffed animals and trinkets, for me it was an assorted pack of Cray Pas pastels. I can recall placing that tattered box under my pillow for safe keeping every night and waking up to draw colorful dream awakened masterpieces throughout my childhood. Today I spend time in my studio pushing paint across a canvas as the early morning light breaks through the windows and am still inspired by my dreams and the simplicity of creating from the heart. I'm a fine arts photographer and oil paint artist, currently capturing all aspects of nature. NJ Rope is a paranormal group founded By Frank Lazzaro. Our goal is to help clients. We are also a resolution team as well. NJ Rope Depot came about to help defray the cost of equipment upkeep. Sooz & John are nature lovers with design & photography backgrounds. They have combined their skills to bring them to life on wood. Everything they make comes from their heads, hearts and hands with a focus on a rustic & distressed style with a twist. From home décor to personalized gifts, they will create one of a kind art for any occasion. communication tool, and I am rewarded by seeing my customers make those connections. A life long crafter and jack of all trades, Delilah will be sharing her soaps, bath bombs, bath salts, bubble bars, and shower steamers at the festival this year. Moxie Sorbet Designs, founded by Stephanie Baness, is a fused glass studio that specializes in handmade glass furnishings and accessories for the home. The line of fused glass combines beauty with utility through the use of jewel tones and unusual shapes. Each piece is jewelry for your home, accenting your living space with pops of color. Moxie Sorbet Designs is committed to creating functional pieces of art meant to be used every day. Wearable art, tee shirts, tote bags, jeans and more. accompany and accentuate all the pieces. Handmade Artisan Body Products good for the body and soul. Our products contain no chemicals, no preservatives and nothing you can't pronounce! Oh My Balm! was featured on the podcast Side Hustle and was mentioned in US News and World Report. Our lip balms were in the 2018 Olympics. NYC street artist and photographer. I am a self taught resin artist. I first started sharing my first work on Instagram and have since begun selling my work at art shows. Janelle Malone, a retired teacher, loves working with crazy fabrics. Specializing in custom quilts, bags, pillows and other items from whimsical patterns and african fabrics. Clarence Rich is a street and fine artist from Jersey City. He is also half of the rap duo The Animal Crackers. Louis J. Santore is an accomplished and passionate artist whose knowledge and appreciation of the human figure is immediately apparent. As an instructor at Monmouth University, he has a remarkable ability to translate and make what he sees accessible to others. His work was showcased at the Monmouth Festival of the Arts in Tinton Falls NJ 2006-2013, Gravity Artworks Gallery in Norwalk, Ct, “Awfully Beautiful”, May 2009, and Joseph Thomas Galleries in White Plains NY, “Something About Love”, February 2008. As an Alumnus at 2 of the finest and prestigious learning institutions in the country his unique perspective makes him a glorious anomaly. The time spent at the School of Visual Arts and New York Academy of Art during his formative years afforded him a key understanding of how to paint and sculpt the figure with light. His painting influences include Olivia, Nathalie Rattner, Donato Ginnacola, and John Singer Sargent. They say the other senses heighten when you lose one. My artwork has not changed, but has been enhanced by my deafness. My focus is not only on the positive space, but also the negative space. Sometimes you hear better with your eyes & hands. I'm a native New Yorker, born and raised in Brooklyn, with a passion for all art. I’m a wife to the most amazing man who inspires, encourages, and supports me in all of my creative ventures. I’m also a mother to a beautiful soul who’s my motivation, and at times my mentor, even at her tender age. Watching her grow into a young woman reminds me that having courage and self-confidence is all you need to follow your dreams. She’s also a young artist whose medium is special effects and glamour makeup. My daughter keeps me grounded and pushes me to post my work even when I think it's my worst painting because she sees the beauty in all. They are my everything. My artistic obsessions run wild in heavy textures; layers and deep moody chroma. I rarely know where I'm going when I start a new piece, but I follow my intuition and let it guide me. I’m self-taught and my goal is to sell my original paintings to those who share in my vision and can feel the emotion in each of my creations. My name is Krupa Sourirajan and I am a junior in High school. I am an aspiring artist who enjoys art and hope to continue it for the rest of my life! I have taken a variety of Honors level classes and AP ART at my high school. My love for art started when I was two and was introduced to the intriguing world of Crayola crayons and construction paper. Ever since then I would mindlessly scribble on papers and, if I was feeling a little risky, on walls as well. Around Kindergarten, I had my first official art class at school. My mind was blown as the art room was filled with all of the supplies I could have ever imagined and more. Since then, I have been drawing and creating nonstop and my love for art continues. The magic is in the lather. My Name is Jason Diorio and I am a Halloween enthusiast and creator of the macabre. I have been a graphic designer for over 20 years in the children’s licensing industry but by night I craft up some ghoulishly terrific delights. For the past 5 years I have created my own haunted house display at 471 Henry Street and I am looking forward to sharing some of the many ghosts and goblins I have built with the public this September. All my abstract designs are done by ball point pens or gel pens. I started as a hobby 4 years ago and now I want to share my work that I love. Allison White is an illustrator that loves to create cute and fun illustrations. Her artwork is done either digitally using Photoshop and Illustrator or traditionally using watercolor and colored pencils. Currently, Allison is working on obtaining her teaching certificate in Art Education after receiving her undergraduate degree at Montclair State University for Animation and Illustration. Dominican Republic, Peru and Cuba. the presence of nature in general from where he takes his main inspiration, but not to copy it, but to transform it through his eyes Aesthetic and philosophical themes, such as the banal and the transcendent, the common and the exotic, the beauty and the ugly, life and death, good and evil, are a constant for him. Each painting is a way of reflecting life in its wide spectrum of situations. work is different and we foresee a great sense of intuition, spontaneity and creativity. Abstraction, Surrealism and Pop Art.